KCK Kuwait | Growing & Glowing For Christ! Every Friday Is a Good Friday! 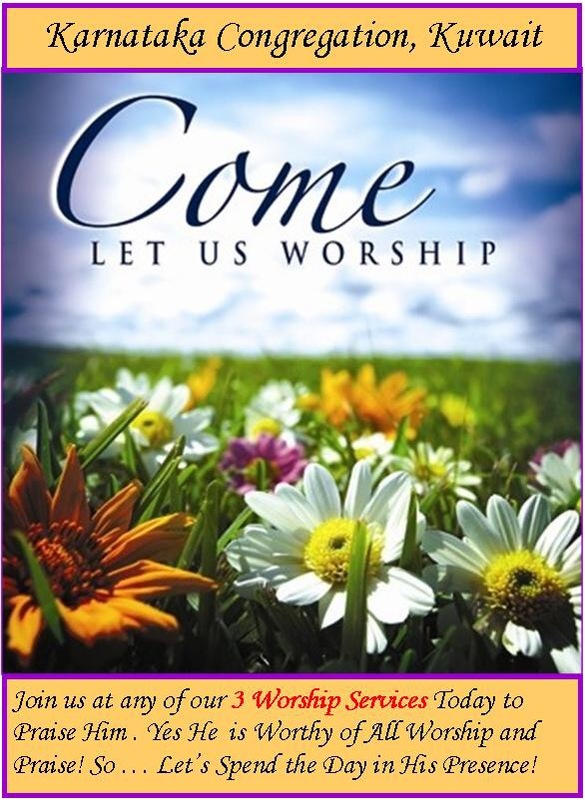 KCK invites you to join us at any of our 3 worship services TODAY to praise Him. Yes, He is worthy of our worship and praise. So, let us spend the day in His presence.